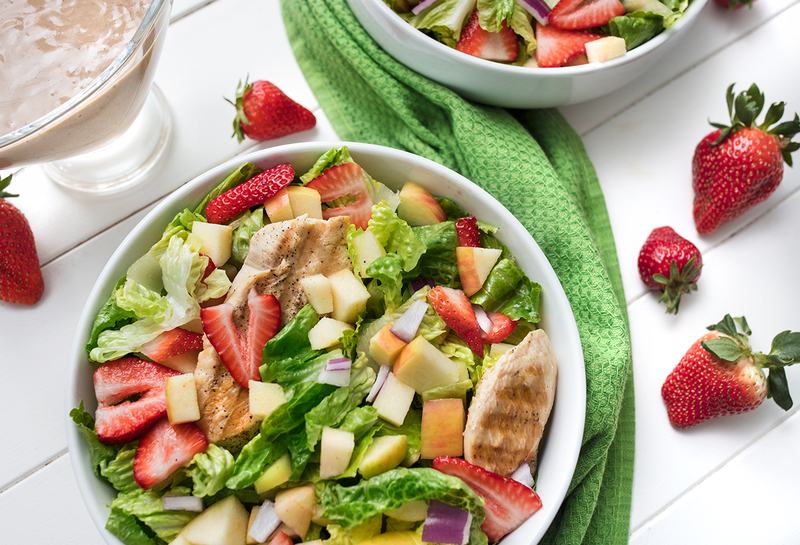 Savory chicken pairs with apples and strawberries in this fresh-tasting salad! Big salads with tons of spinach or lettuce are a great way to get full with just a few calories. Grilled chicken is a delicious lean protein source—it actually gives this salad a whopping 39 grams of protein! 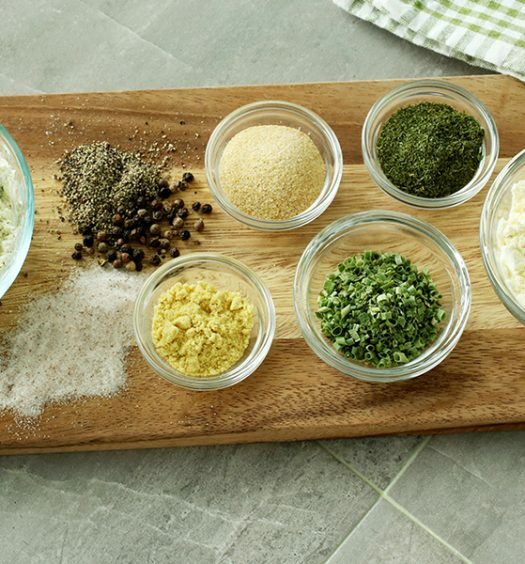 For the creamy dressing, we used nonfat Greek yogurt to amp up the protein, because it has less fat than traditional dressings.